You can have custom, high quality, handmade pressing aids made with the fabric of your choice! Every piece is designed and handcrafted by me (Sonia). 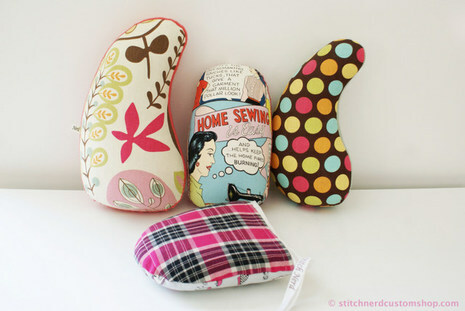 Have a tailor's pressing ham or seam roll made for you, a friend, or any sewist you know would appreciate a personalized, and very useful sewing gift. Why use boring store-bought or buy used/vintage, stained, or maybe even smelly pressing aids when you can have fresh, clean, brand new, and fabulous? ​These customs pressing hams even smell good! 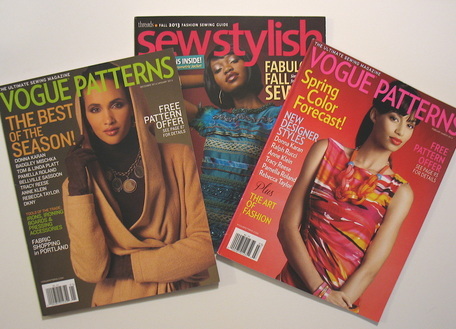 I stock many fun fabric choices so browse around and see for yourself. The possibilities are endless! 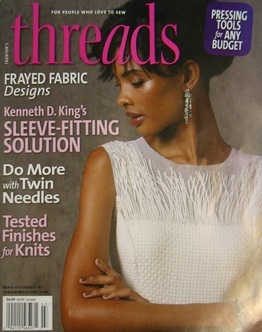 And now in Threads Magazine! The slideshow on this page shows a few examples of some of the options and past custom orders. You can click on any photo to stop the slide show and/or hover over the large photo in view to resume/play the slide show. Check out my store's blog for updates, new fabric, and new products! Also, get on Stitch Nerd's e-mail list by subscribing.